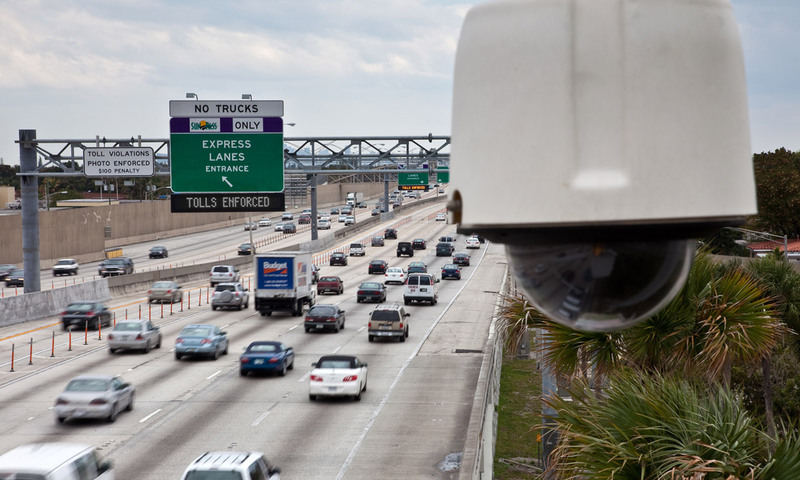 FDOT District Six uses ITS applications to monitor traffic in southeast Florida 24 hours per day, 7 days per week. Operators housed at the SunGuide Transportation Management Center (TMC) gather traffic data from a series of ITS roadway devices, including closed circuit television (CCTV) cameras, dynamic message signs (DMS), roadway detectors, and adaptive signal controls technologies (ASCT). 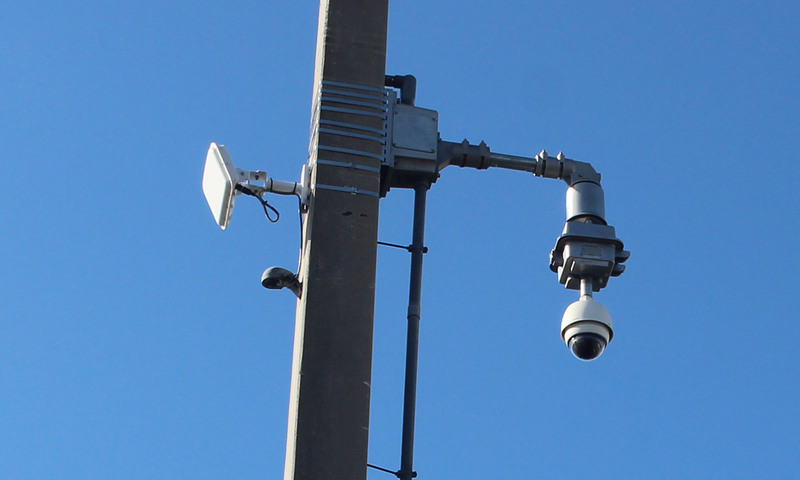 The devices connect back to the TMC via fiber-optic communications and are managed by the statewide ITS software, SunGuide. This information is used to manage traffic conditions and optimize roadway safety and performance. This allows operators to detect traffic slow downs, coordinate incident clearance efforts, post traffic alerts on our traveler information resources and maximize arterial traffic flow. FDOT began implementing ITS in the late 1990s. Today, District Six has equipped 213.5 center line miles of roadways with ITS devices. 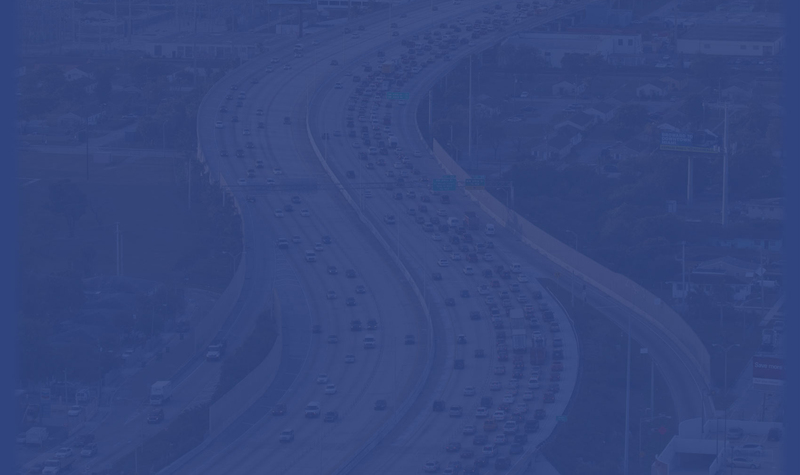 These roadways include Interstates 75, 95, 195, 395, State Road 826/Palmetto Expressway, State Road 5/ US-1, State Road 9 and Card Sound Road. 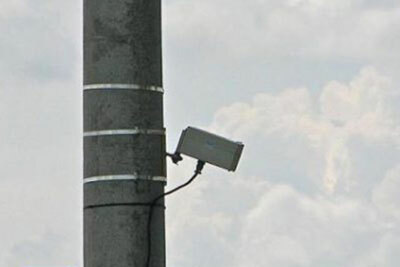 Closed Circuit Television (CCTV) cameras allow traffic operators to monitor real-time traffic conditions from within the TMC. 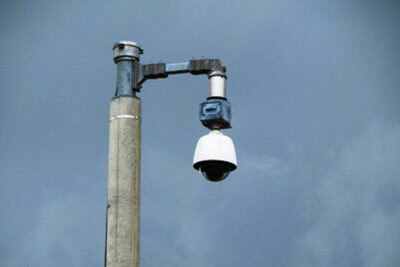 Roadway Detectors are devices that collect traffic speed, volume and density for traffic management purposes. Dynamic Message Signs (DMS) are overhead electronic signs that post traffic alerts to inform drivers about roadway traffic conditions. 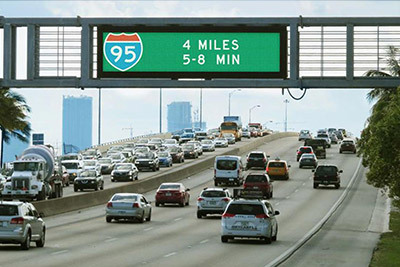 Ramp Signals manage traffic flow entering Interstate 95 along the project limits of 95 Express in Miami-Dade County. Adaptive Signal Control Technologies optimize signal timing to increase the efficiency of existing roadways.